Mrs. K.D. Senewiratne, Permanent Representative of Sri Lanka to the United Nations in New York, Mr. Rodney M. Perera, Ambassador of Sri Lanka to the United States of America, Mrs. Grace Asirwatham, Ambassador of Sri Lanka to Belgium and the European Union, Mr. A.S. Nakandala, Ambassador of Sri Lanka to the Netherlands and Permanent Representative to the Organization for the Prohibition of Chemical Weapons (OPCW), Ms. Y.K. Gunasekara, Ambassador of Sri Lanka to Indonesia, Mrs. J.A.S.K. Jayasuriya, Ambassador of Sri Lanka to Thailand,Mrs. Pradeepa Saram, Ambassador of Sri Lanka to Bahrain, Mrs. Shobini Gunasekera, Ambassador of Sri Lanka to the Philippines, Mrs. Saroja Sirisena, Ambassador of Sri Lanka to Austria and Permanent Representative to the International Atomic Energy Agency (IAEA), Mr. O.L. 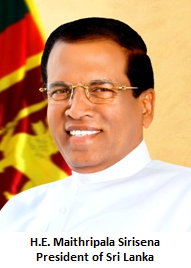 Ameerajwad, Ambassador of Sri Lanka to Oman, Mr. M.J.P. Jayesinghe, Ambassador of Sri Lanka to the United Arab Emirates, Mr. Waruna Wilpatha, Ambassador of Sri Lanka to Israel,Ms. Sashikala Premawardhane, High Commissioner of Sri Lanka to Singapore, and Mr. Rizvi Hassen, Ambassador of Sri Lanka to Turkey. 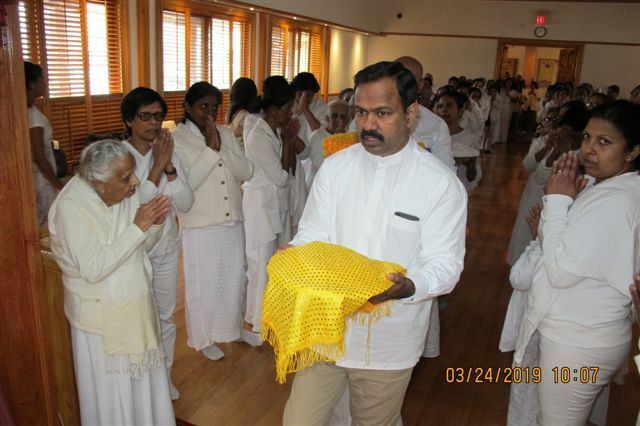 Sri Lanka’s High Commissioner in Canada, M.A.K. 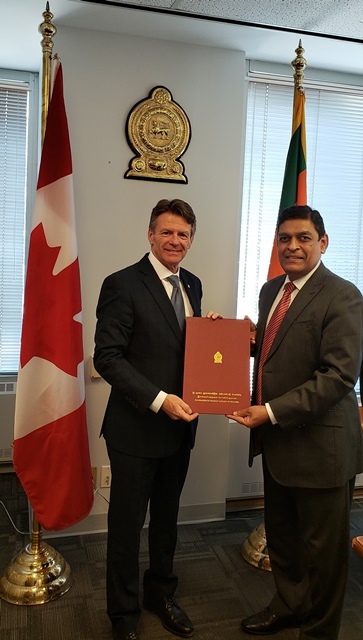 Girihagama, handed over the Commission of Appointment issued by the Government and Sri Lanka and the Exequatur granted by Canada to Mr. Claude Gagnon, who was appointed as the Honorary Consul in Montréal for the province of Quebec, on 26th March 2019 at the High Commission. In his brief remarks, High Commissioner Girihagama underlined the important role played by the Honorary Consul and the need to foster deeper ties between Sri Lanka and Quebec. The High Commissioner also requested the Honorary Consul to guide Sri Lanka nationals and prospective visitors to Sri Lanka on consular matter while also encouraging stronger bilateral ties including the promotion of investment, tourism and trade between Sri Lanka and Quebec. Honorary Consul Gagnon, who is the President, Operations of the Bank of Montreal (BMO) Financial Group, a leader in the financial sector, was selected following a rigorous process in keeping with the guidelines issued by the Ministry of Foreign Affairs, Sri Lanka. In addition to the appointment of Honorary Consul Gagnon, three new Honorary Consuls for Sri Lanka were also appointed to Calgary in Alberta, Halifax in Nova Scotia and St. John in New Brunswick on 4th March 2019. 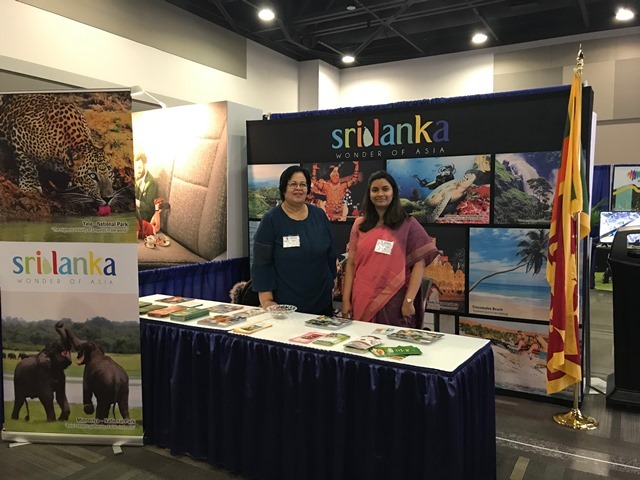 In addition, Sri Lanka also has an Honorary Consul in Vancouver, British Columbia. 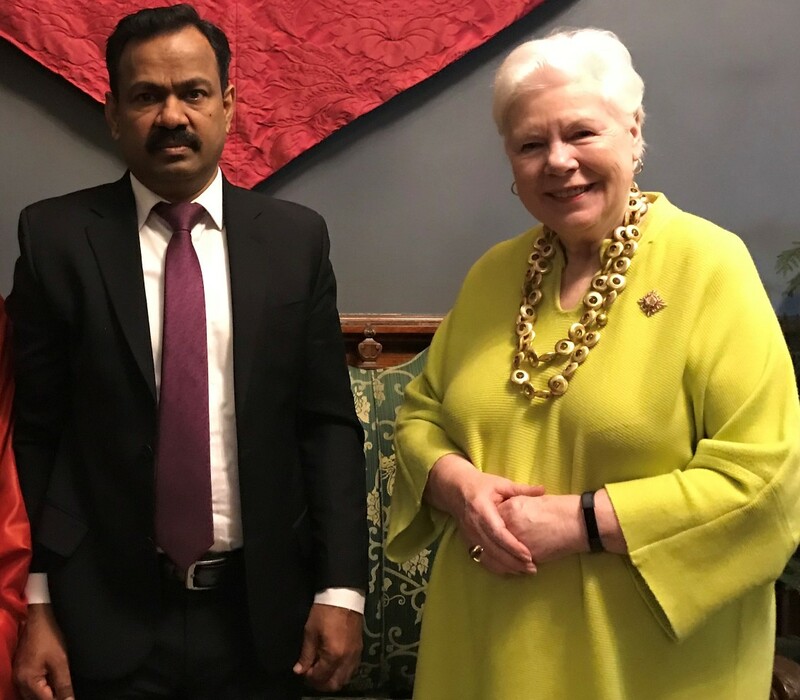 The Consul General of Sri Lanka in Toronto Kapila Jayaweera paid a courtesy call on Lieutenant Governor of Ontario, Elizabeth Dowdeswell at the Legislative Assembly of Ontario on 14 March 2019. During the courtesy call, Consul General Jayaweera recalled the Canadian support for socio-economic development in Sri Lanka during the past few decades and exchanged views on the well-being of the Sri Lankans living in the Greater Toronto Area and its suburbs. 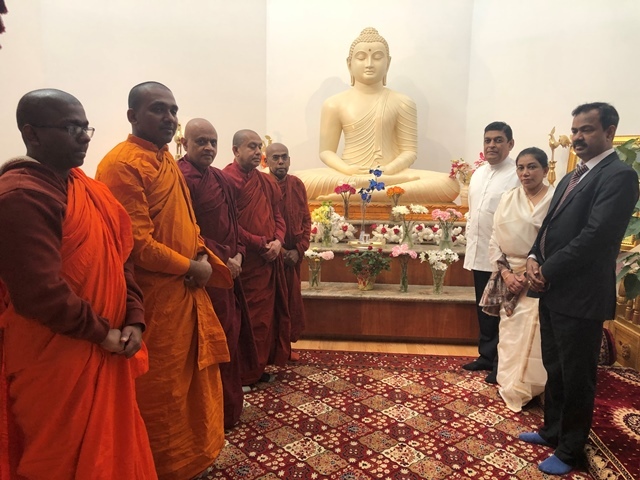 The Lieutenant Governor of Ontario admired the achievements and various volunteer contributions of Sri Lankans living in Canada towards the Canadian society. The Governor further briefed the Consul General on the multi cultural environment in Canada and on the opportunities available, especially for education, for Sri Lankans living in Canada.